Hello! Are you ready for your next great vacation? Let us help you start planning. With so many stunning islands littered all over the South Pacific, it’s hard to know which ones you should visit on an ocean cruise. We look at the best locations you can get to, with the most striking landscapes and lagoons, that are guaranteed to please every kind of cruiser. These are simply some of the most picturesque islands on Earth. There are two main cruise companies (contact your travel agent for more info!) that operate an itinerary which takes in most of Tahiti’s Society Islands. Fly to Tahiti and your first stop will be the island of Moorea, just 28-miles west, where much of the Mutiny On The Bounty movies were filmed. Here, you can swim with dolphins and rays in a sheltered lagoon. While Moorea is world-famous, the other islands of the Society Group are virtually a secret (except Bora Bora). Huahine and the twin islands of Ra’atea and Ta’haa receive few visitors – yet their lagoons are as stunning as Bora Bora’s. Ta’haa, in particular, is right off the grid, with mile-high peaks dropping into the lagoon, and locals living in tiny, basic villages. Every cruise here culminates with a visit to Bora Bora – where you’ll spend time in the world’s most famous lagoon, using uninhabited islets for barbeques and sun-downer drinks. How New Caledonia doesn’t receive much more fanfare is anyone’s guess. It’s barely 2,000-miles east of Australia (the closest of all the South Pacific island groups) so getting there is easy aboard a cruise ship from Sydney (it’s one of the most popular destinations in the South Pacific from Australia). The reason why New Caledonia is so perfect for cruising is that it’s protected inside the world’s largest lagoon, surrounded by one of the world’s largest barrier reefs. You can spend time in the French-style capital of Noumea with its European cafes, restaurants and clubs, then venture south-east to the Loyalty Islands. The Isle Of Pines is the most popular of these islands – it’s encircled in a lagoon with white sand bays, and a natural swimming pool separated from the ocean (called Oro). There are caves to explore all over the island. Though equally beautiful, but less visited, is its neighbor, Mare. Here locals live in tiny villages with little tourism infrastructure. Visiting cruisers get to see right inside the simple communities of the island – as well as spending time exploring caves and snorkeling over World-Heritage-Listed coral. If these islands aren’t on your bucket list, revise your list! Take a two-week journey aboard one of the last passenger/cargo combined vessels left on the planet to the world’s most isolated island archipelago, The Marquesas. You’ll need to fly to Tahiti, where a boat will ply its way north-east for 870-miles. It visits six of the 12 islands of the Marquesas (the rest are uninhabited), stopping at tiny villages where locals still live subsistence lifestyles. You’ll get to hike across remote mountain passes, swim in front of villages with local children and attend boisterous church sessions with locals dressed up to the nines. Aside from infrequent and expensive domestic flights, this is the only way to visit these islands – so don’t expect to see other tourists. Many travelers won’t get past the main island of Efate – with its bustling capital, Port Vila – but it’s worth remembering that there’s 83 islands that make up Vanuatu. These are some of the wildest islands left in the Pacific – on some islands you’ll spend time with cargo cult tribes who still live in the rainforests in simple grass huts. While on one island – Pentecost – should you time it right, you’ll see locals jump from platforms with vines around their ankles to bless their yam harvest (this is where the concept for bungy jumping came from). Keen divers should consider Espiritu Santo – it’s home to the sunken WWII troop carrier, SS Coolridge, considered the world’s best wreck dive site. While on Tanna you can visit an active volcano, Mt Yasur – standing right on the crater’s edge as dry lava is ejected. You’ll also find one of the world’s top-rated beaches – Champagne Beach on Espiritu Santo; while Tales Of The South Pacific author James A Michener got his inspiration for his novel (and the musical) South Pacific from time spent on Espiritu Santo during WWII. 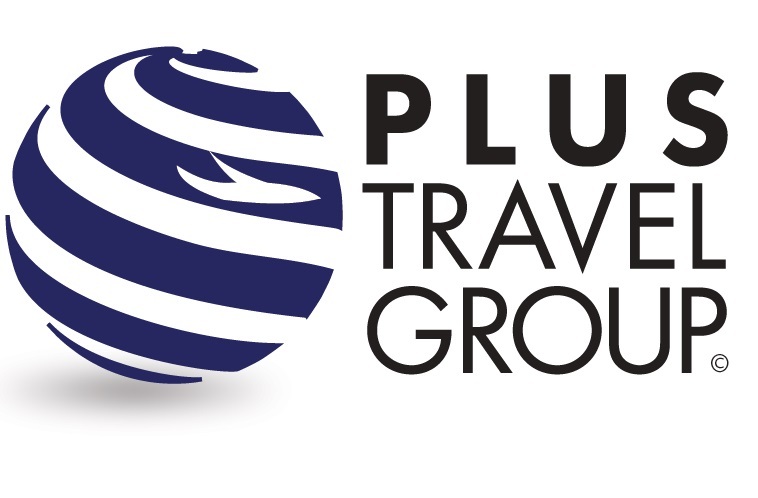 Plus Travel Group is a full service travel management company specializing in corporate travel. We work in collaboration with our customers to provide insight, expertise and innovation. Superb personal service is one of our great strengths along with cutting edge technology and account management excellence. By choosing a travel style, interest or destination, we’ll be better prepared to answer any questions you may have. Let us know the most convenient manner and time to contact you so we can work with your schedule.